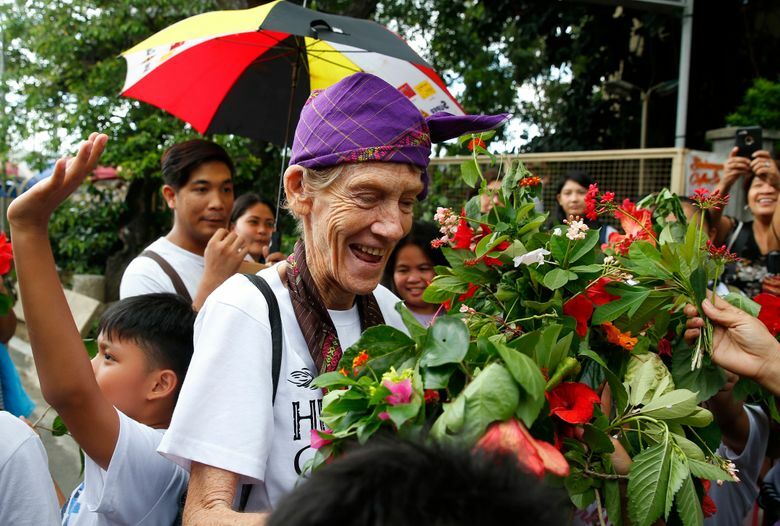 MANILA, Philippines (AP) — An Australian nun who angered the Philippine president by joining anti-government protests used her final hours in the country to call on Filipinos to unite and fight human rights abuses. Sister Patricia Anne Fox left the Philippines for Australia on Saturday night. The Bureau of Immigration ordered her deported in July, put her on a blacklist and then downgraded her missionary visa to a temporary visitor’s visa, which expired Saturday. President Rodrigo Duterte has bristled at criticism of his leadership, particularly by foreigners like Fox, who he says have no right to meddle in Philippine domestic affairs. Most of the criticism has focused on his bloody anti-drug campaign, which has left thousands dead, alarmed Western governments and rights groups and prompted two complaints of mass murder before the International Criminal Court. “At present in the Philippines the human rights abuses are just increasing and it’s a reign of terror and tyranny,” Fox told reporters after arriving at Melbourne airport on Sunday. “Pope Francis said that if you’re a Christian and there’s massive human rights violations … you should take action, make noise. Where the oppressed are, the church people should be there, not only always talking but with them and hopefully more vocal,” she said. 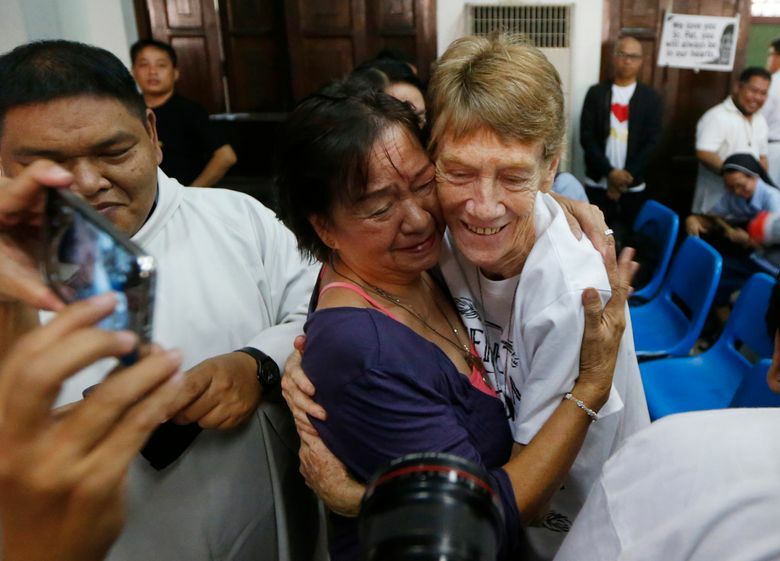 Fox told The Associated Press separately by phone that Duterte’s anti-drug crackdown was “horribly barbaric” and she vowed to return to the country if allowed to resume her 27 years of missionary work for the poor. “And so they were having a press conference and I did say to them, when they wanted me to speak, that the teachings of the Catholic Church clearly say you have a right to assembly, you have a right to unionize, you have a right to regular work. Now that, in the deportation order, was anti-government. One of the commentators said that now the social teachings of the Catholic Church are anti-government,” she said. 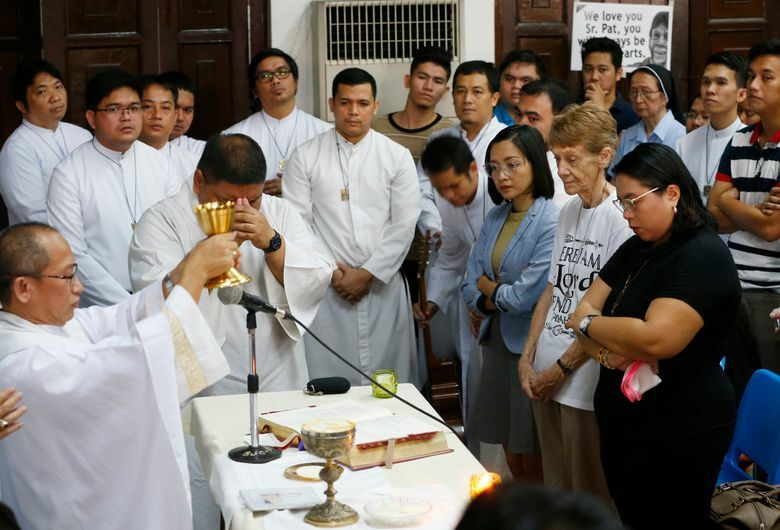 Fox’s lawyers said she joined the marginalized as part of her missionary work and called the Duterte administration’s actions “political persecution.” They expressed fears that the move to evict Fox could undermine the crucial civic and religious work of foreign missionaries in the country.